Egypt is a country that suffers from harsh censorship. According to Freedom House, internet freedom went severely downhill in 2017 -with the government imposing hundreds of new website blocks. In 2019, al-Sisi’s government was re-elected meaning that Egypt can expect a continuation of these disturbing policies. This includes unrelenting violations of user rights due to extreme surveillance. The good news is that citizens can communicate securely and access blocked news, blogs, and social media sites, by using a VPN for Egypt. A reliable Virtual Private Network (VPN) for Egypt also provides privacy with military-grade encryption. We have reviewed over 150 VPNs in the last years searching for the best VPNs for Egypt. We found the vast majority of VPNs on the market to be completely unsuitable for use in Egypt. However, we did find some excellent options too. take a look at them below. ExpressVPN is an excellent option if you need a VPN for Egypt. It has fast servers located in 94 countries, which means that you’ll always be able to unblock geo-restricted content. Encryption is absolutely fantastic and will protect you from ISPs, the government, and hackers snooping on public WiFi. The software is fully featured with all the trimmings, such as DNS leak protection and a kill switch. It also has stealth mode! The VPN is highly intuitive and has 24/7 live chat support to help its subscribers with anything at any time of day. Subscribers can use the VPN on three simultaneous devices. Thanks to its fast server in Egypt, users will also be able to remain private and secure when browsing websites within the nation itself. Finally, ExpressVPN offers a 30-day money-back guarantee to test the service risk free. Try the best VPN for Egypt now! This VPN is excellent for use in Egypt. It is highly secure and has a zero logs policy. It is fast for streaming and has servers in over 60 countries. This VPN also has all the necessary features including DNS leak protection, a killswitch, and obfuscated servers that definitely work out of Egypt. Why not give this excellent VPN a test run thanks to its 30-day money back guarantee? On top of this, Private VPN boast an impressive server coverage with over 80 servers located in more than 52 countries! This means you are sure to have a server option where you want it! VyprVPN is based in Switzerland and run by Golden Frog, a US-based internet conglomerate. The firm has its own infrastructure of servers, which allows VyprVPN to deliver outstanding speeds. It has servers in over 70 countries, including Egypt, which makes it an excellent Egyptian VPN. This VPN has stealth mode which means it does work in Egypt. The software is fully featured, with a kill switch and DNS leak protection, and is very easy to use. It is available for all popular platforms. Encryption is strong OpenVPN protocol and will keep users secure both at home and on public WiFi. With a 30-day money-back guarantee and great customer care, this VPN is well worth a try. Following the Arab Spring, the Muslim Brotherhood was banned in Egypt. Since then, the government has been imposing stronger and stronger restrictions on freedom of speech. Last year, 24 news websites including Al Jazeera were banned in the nation for inciting "terrorism." The local media is also under strict control, and any news outlet that speaks against the government is prosecuted, silenced, or shut down using force. In 2015, dozens of journalists were assaulted by security forces in Egypt. And, in 2017, a human rights lawyer called Mohamed Ramadan was sentenced to 10 years in prison for expressing dissenting political opinions online. 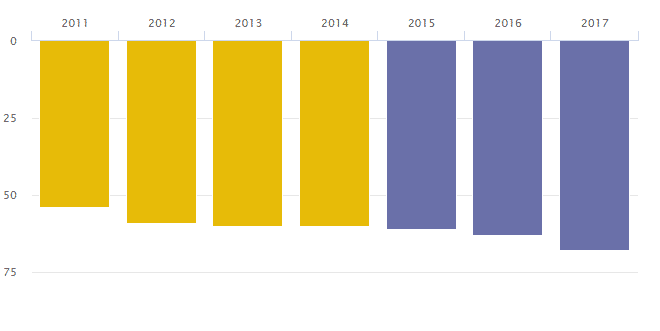 Things are going from bad to worse with a steady decline of internet freedom since 2011. Under President Abdel Fattah al-Sisi’s rule, the economy is in dire straights, unemployment is high (and rising), and ISIS-like insurgent groups are springing up at an alarming rate. In a nation of nearly 90 million, only 35% have access to the internet and those that do have severely restricted access. Furthermore, in 2014, al-Sisi established the High Council for Cybersecurity (HCC). This body is meant to protect Egypt against cybercrime. However, in reality, the HCC performs widespread surveillance on citizens, monitoring all internet activity for dissenters. The problem is voracious, and in the last few years, many journalists have been imprisoned for trying to report on institutionalized injustice. In such a politically strained environment, it is important to take extreme care when selecting a VPN. Many VPNs claim to be secure but actually provide deficient services that put their users at risk. With the risk of prosecution (or worse) a very serious possibility it is essential to ensure you get a reliable and trusted VPN for Egypt. How does a VPN work in Egypt? A VPN is a versatile online service that permits people to unblock website content in privacy. A VPN works by concealing the users IP address (location) and allowing them to pretend to be in a different country. By doing this, a VPN permits internet users within Egypt to access censored or geo-restricted websites and online services. In addition, a reliable VPN provides digital privacy thanks to military grade encryption. This gives Egyptian VPN users the opportunity to access restricted websites and services without fear of being snooped on by the country’s overreaching government. 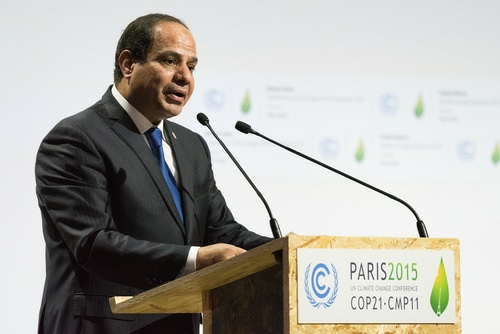 In March, President Abdel Fattah al-Sisi was re-elected for another four years. This means that Egyptians can expect the political situation to remain bad. This means a complete lack of internet freedom and a state-controlled press. Due to that invasive government, citizens in Egypt are in danger of being severely propagandized. Dissenting religious and political opinions are strongly prohibited, meaning that people exist in a bubble of disinformation. According to Freedom House , Egypt lacks both internet freedom and freedom of the press. The Egyptian government also severely violates user rights by imposing high levels of surveillance. For anybody who wants to protect their privacy, a VPN for Egypt is absolutely necessary. With a VPN, citizens can access news websites and blogs that would otherwise be unavailable. Blocked messaging services and social media sites can also be used. Users may also interact with blogs and express opinions without fear of retribution. With a VPN service, citizens do not have to fall victim to sudden blackouts. A VPN for Egypt means that no matter what happens, you can rest assured that you will still be able to use the internet freely if blackouts are enforced. Privacy: how can a VPN keep my data secure? When you use a reliable VPN for Egypt all your web browsing traffic is encrypted. This stops Internet Service Providers (ISPs) and the government from being able to track what you do online. That digital privacy also extends to local network administrators. Thanks to VPN encryption, workplaces, schools, landlords, coffee shops - and other public WiFi hotspots - are unable to tell which websites you are visiting. This digital privacy works in perfect combination with the ability to unblock restricted or censored content. A VPNs encryption also protects your data from hackers. When you use a public WiFi hotspot it is possible to fall victim to hackers who steal valuable data, login credentials, and even credit card details from their victims. With a VPN, cybercriminals are unable to steal anything from you, even if you accidentally connect to a “fake WiFi hotspot” set up by a hacker. Are VPN’s Legal in Egypt? Having a VPN itself is not illegal in Egypt. This is because VPNs are widely used by businesses to protect their data. On the other hand, most of the things you can do with a VPN are illegal. Accessing censored content - that has been purposefully blocked by the government - could get you in trouble with the law. Communicating dissenting views could also land you in hot water. It is for this reason that is is highly important to get a reliable and trusted VPN. Many VPNs have poor privacy policies, outdated encryption, or suffer from leaks. These problems could mean that the VPN fails to protect your privacy. Sadly, the vast majority of the 800+ VPNs on the market have one or more of these problems. For this reason, we urge you only to stick to a VPN for Egypt that has been proven to have all the necessary featured needed to properly protect your digital privacy when you unblock online content. Killswitch. This is a vital feature that stops your VPN from accidentally leaking data to your ISP and the government should the VPN connection accidentally drop out. In Egypt where you could get in trouble for accessing blocked websites: this feature is vital. DNS leak protection. A DNS leak would also reveal the websites you visit, to your ISP. This is a huge problem, which is why all of the VPNs in this guide have working DNS leak protection. VPN cloaking/stealth mode will let you evade ISP bandwidth throttling and OpenVPN blocks. VPN cloaking disguises VPN encrypted traffic as regular HTTPS: stopping ISPs from detecting VPN use. Sadly, DPI in Egypt can detect OpenVPN traffic over port 443 - so this kind of cloaking will not suffice. The good news is that you can use a VPNs trial period/money back guarantee to ensure it works for you. If a VPN on this list doesn't work for you - please stick to a VPN higher in the list - that has proprietary stealth technology designed to beat ISP blocks in Egypt. Although many people in Egypt want a VPN to evade surveillance and censorship, it is also true that a VPN is superb for entertainment purposes. By letting users pretend to be in a different country, VPN users are able to access geo-restricted services from overseas. This lets VPN users in Egypt access British TV services like BBC iPlayer, ITV Hub, and All4. US TV channels can also be accessed, unblock Netflix US, Hulu, and Amazon Prime TV can also be unblocked. Many people also use a VPN to watch foreign sports competitions that would otherwise be blocked. In order to enjoy this side of a VPN, it is important for it to have a wide selection of servers. Those servers must also be lightning fast for streaming in HD. All of the VPNs in this guide have been specially chosen for use in Egypt because they have the necessary connection speeds and server locations needed to truly gain complete internet freedom. See the guides below to learn how to unblock streaming services with a VPN! A final feature of a VPN for Egypt, which is vitally important, is a VPN server located in Egypt. Due to the invasive nature of al Sisi’s government, some people may want to protect their privacy even when using local websites and services. To have absolute control of your digital privacy it is important to use a VPN at all times. Our recommended VPNs let you browse with an Egyptan IP. With another four years of al-Sisi's government now guaranteed, Egypt remains a place where a VPN is a vital service. Internet freedom and freedom of the press are both highly restricted. This means people exist within a bubble of censorship. Surveillance is also extreme and it is possible to get into trouble for accessing restricted content. The VPNs in this guide have been carefully selected because they have everything you need to protect your digital privacy in Egypt. In addition, these VPNs for Egypt have a large choice of servers and excellent privacy features. With any of the VPNs in this guide, you will be able to enjoy unrivaled internet freedom from within Egypt. If you have any questions please don’t hesitate to ask below. Two of them don't work. Checked them on eselat network. So, maybe all of them won't work in Egypt. Waste of time. VPN is the easiest and safest way.Currently, I am using VPNBaron and have no speed loss which allows me HD streaming in any country.